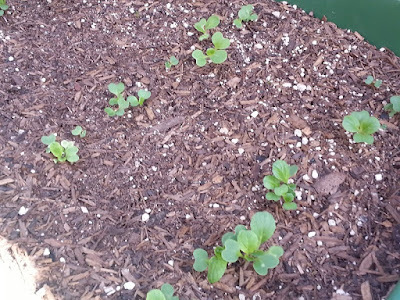 Within a week of much sun, the garden had seen some real progress. 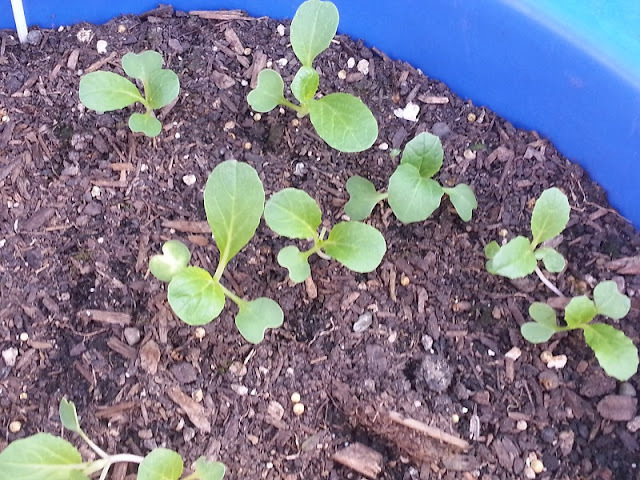 Bok Choy and Swiss Chard plants had begun to take off. 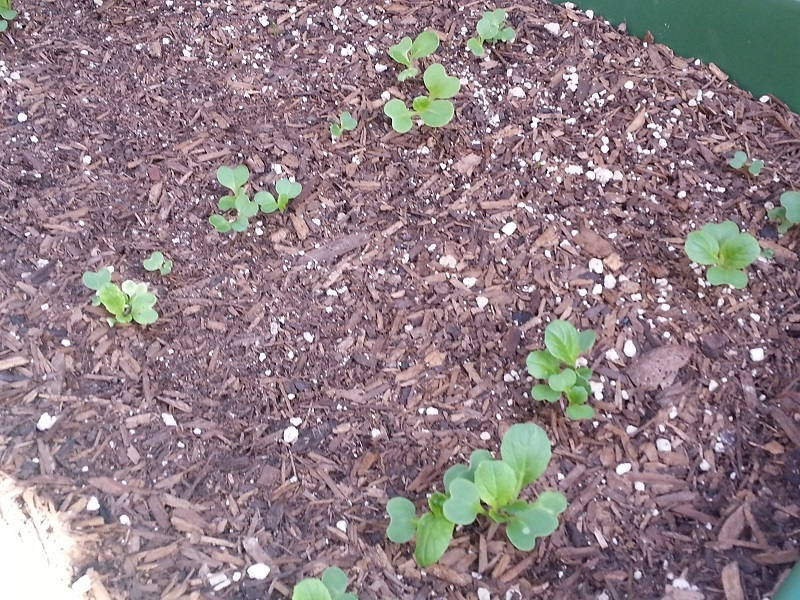 The hard part now is thinning the seedlings to prevent overcrowding. 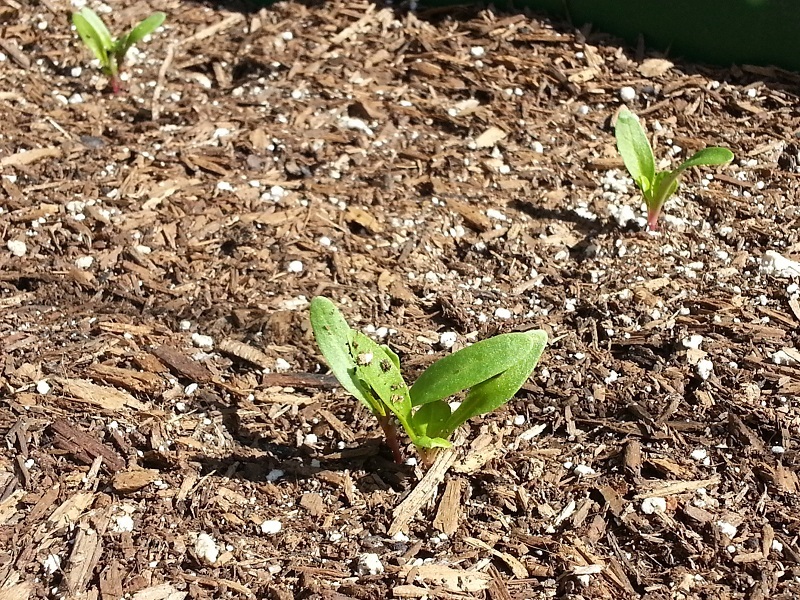 Chard beginning to grow some leaves. 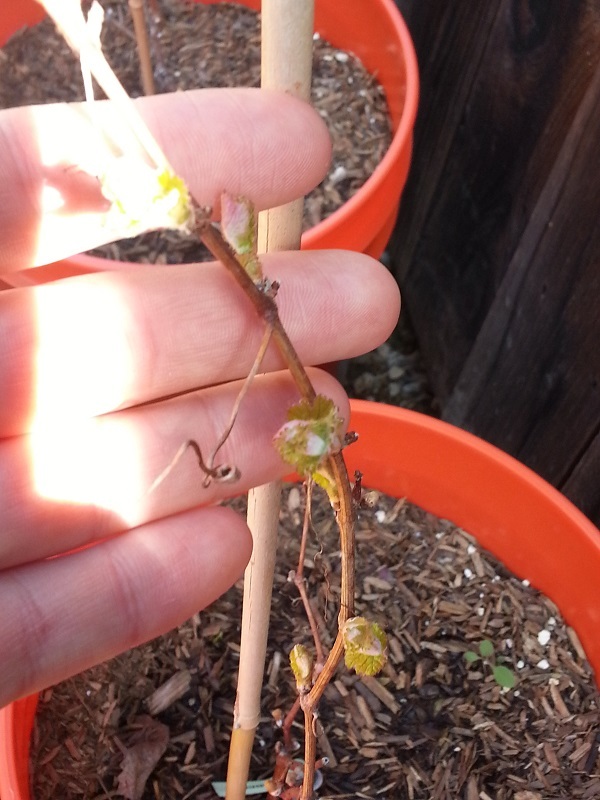 Today was a good day for the grapevines. 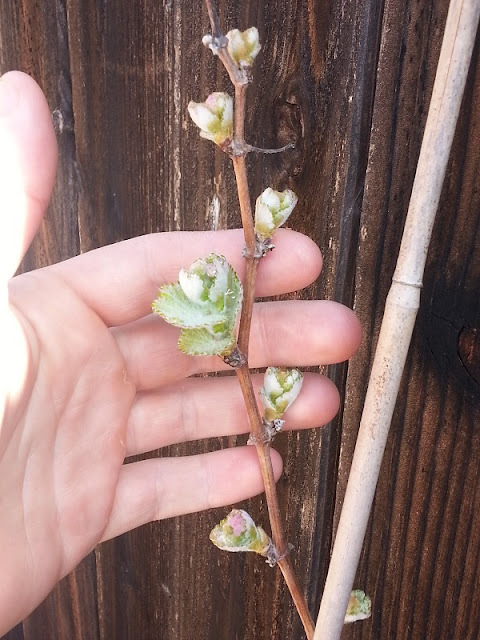 The buds were bursting open on the Symphony vine; you can see some of the leaves now. 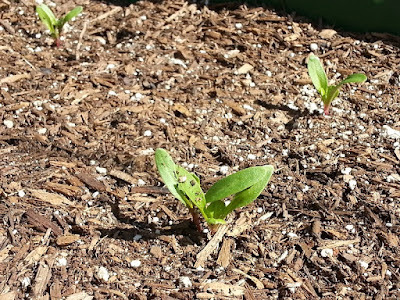 The Barbera was also emerging well. The only vine that didn't look too good so far was the Cabernet Sauvignon, but I think that variety needs more time before it returns to life. Let's see if I can get enough grapes for a glass of wine this year. Barbera vine about to emerge. 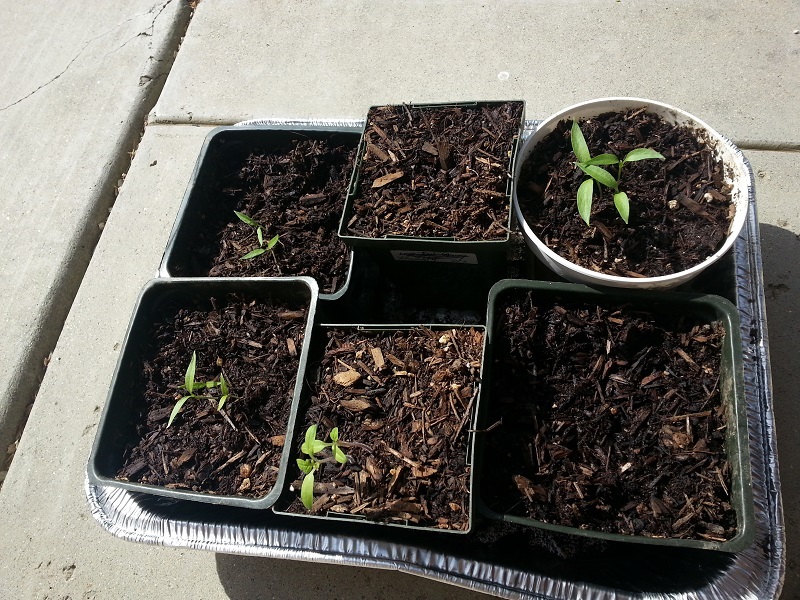 The temperatures have been high enough to give my tomato and pepper seedlings some direct sunlight. Based on previous years, I seem to only have luck growing pepper varieties named after cities! 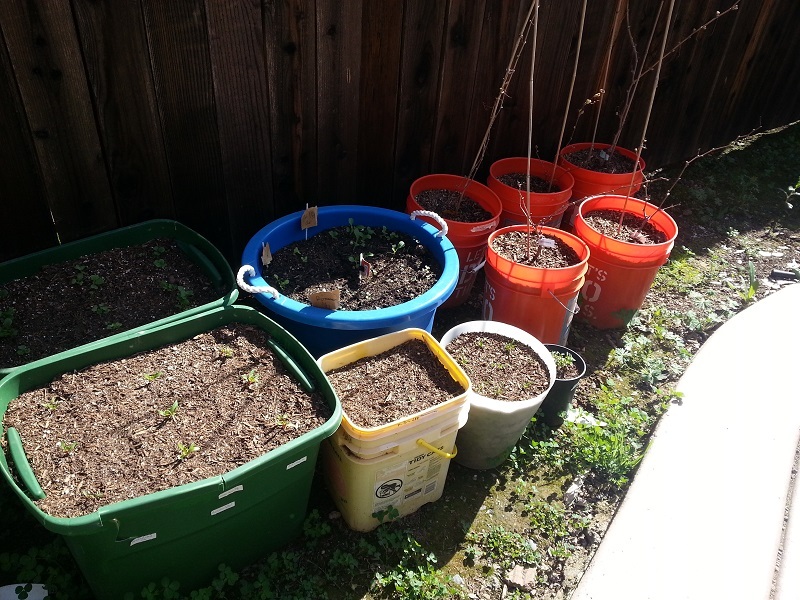 Maybe I make some spicy salsa this year along with some vino?